If you're in between sizes, your waist measurement determines the right size as the waist band hardly stretches. 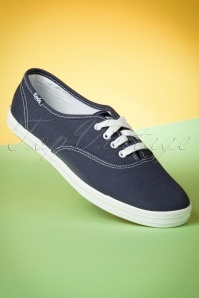 The fabric has a light stretch. 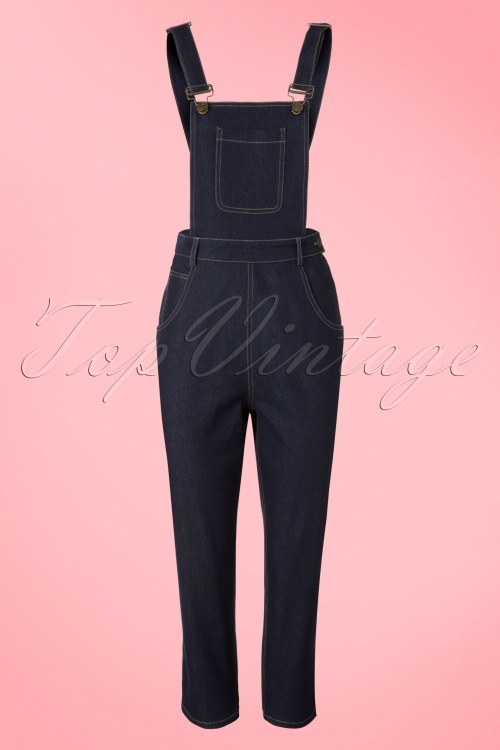 The 50s Coco Denim Dungarees guarantees you lots of pleasure! 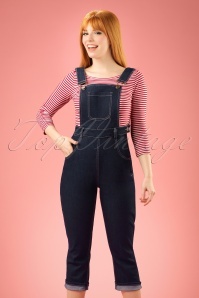 Loving your jeans but looking for something different? 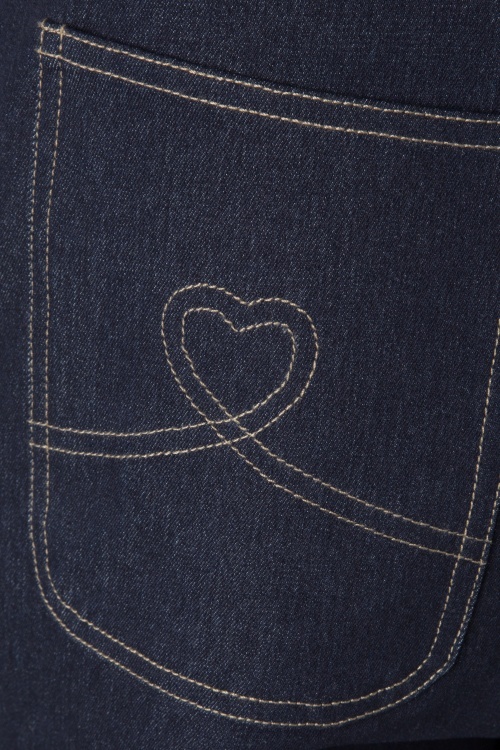 We've got THE perfect jeans for you! 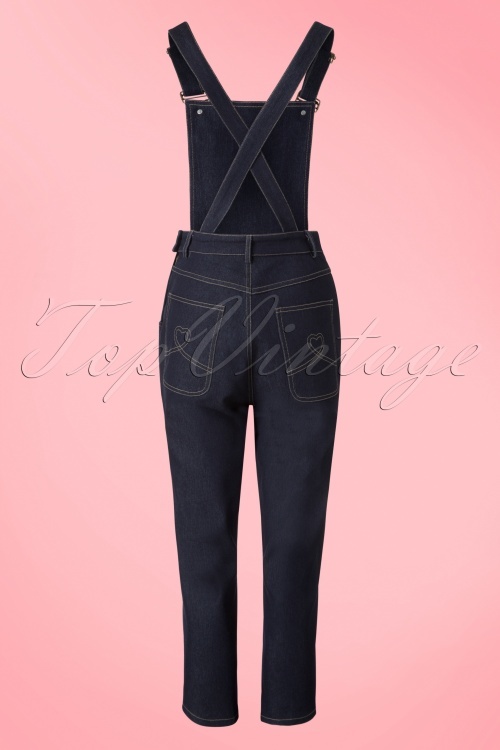 This beauty combines the perfect high waist jeans with the details of a dungaree, so sassy. The shoulder straps are adjustable and can be worn crossed at the back for extra comfort. 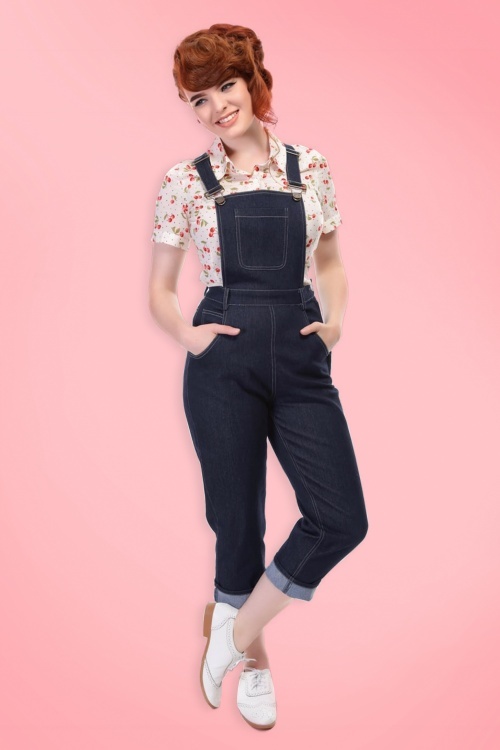 The flattering fitted legs make your legs look super long, Heidi Klum watch out ;-) Truly a joy to wear thanks to the sturdy, denim blue cotton blend with a light stretch and contrasting beige seaming for that true vintage touch. 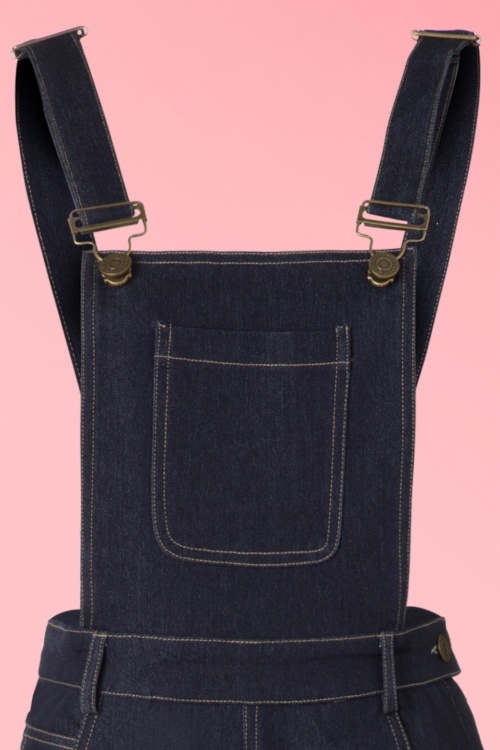 You can never own too much denim!